When’s the last time you ate (learned) something surprising? If I were to write ONE post about food for every 50 about education, I might just double (triple, quadruple…?) the traffic to my site. I still don’t quite get it, though…why would a post on how to navigate difficult relationships to find mutual purpose around student learning somehow be of less interest than the latest from Joy the Baker? 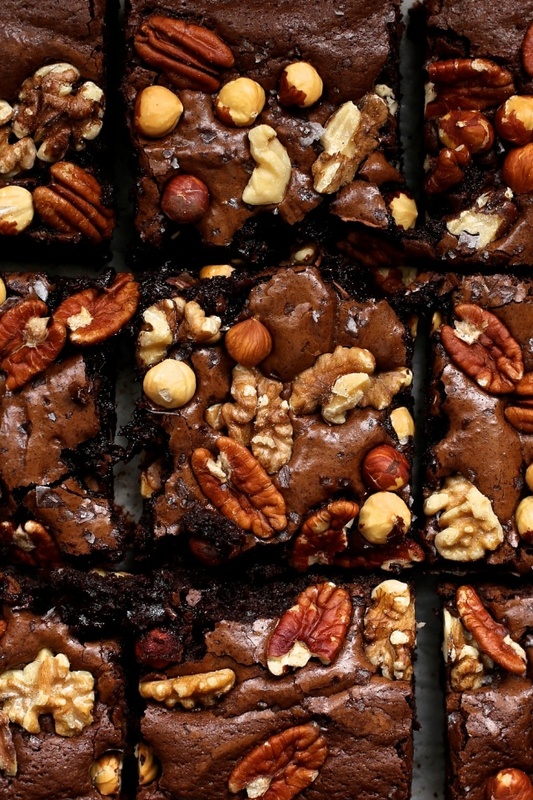 Extra Nutty Dark Chocolate Brownies via Joy the Baker. Okay – so rather than fight this whole food-unites-us thing, let’s embrace (consume?) it. After all, what do we seek when we go to a restaurant for a special meal? Something inspiring, something surprising, something memorable. Given how much we love food – how much food brings us together as people, how it is one of the most fundamental ways we define ourselves as cultures – why can’t we make our “professional learning gatherings” (a.k.a., meetings) more like this – inspiring, surprising, memorable? 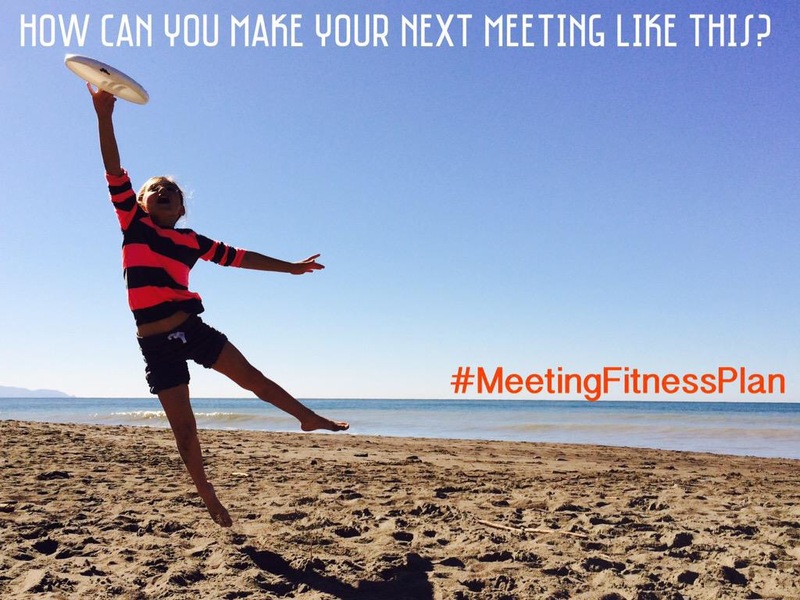 #EduGourmand Jen Kloczko shared this video with me as we started talking about the idea of creating a “menu” for meetings. A group of kids goes to a fancy New York restaurant and get the full treatment – no dumbing down of a varied and complex multi-course menu. Their reactions? All over the map. This is why learning is social – for children and for grown ups. We have our unique encounter with the material at hand (a strange looking cut of protein, a challenging, primary source text, a new pedagogical approach) and we begin deciding very quickly if we “like” it or not – and we are attentive to how others around us are reacting to this phenomenon. Whether we are a student in a classroom or an adult in a meeting, it is virtually guaranteed that the experience will register differently with each individual in the room. This is the challenge of creating something for others to consume – you will not please them all. But rather than seeing that as a pitfall of creativity, why not see it as a wonderful opportunity to make the experience more meaningful and profound, rather than routine and superficial (e.g., the “special” you order every time you go to the same restaurant – that always looks and tastes the same)? Inspiring, surprising and memorable things are not necessarily enjoyable – in fact, there are plenty of aspects of Disneyland that my 3-year old found downright frightening. Here’s what you get when you ask a bunch of #eduGourmands to share their idea of a great meal. If you are someone responsible for facilitating adult learning in your organization (it doesn’t need to be a school), maybe the best way to start is to ASK people what they like and see where there is agreement and divergence. This also gives you some insight into what your organization isn’t eating – whether through lack of awareness or outright avoidance! Jen’s wonderful post breaks down professional learning into the different courses of a meal. My take on the meal/PD mashup channels the spirit of the tasting menu as a vehicle to inspire, surprise, and instill lasting memories in the participants/eaters. So what are some of the key aspects to a tasting menu/PD experience? Kitchens aren’t hidden away anymore. Rather than food magically appearing from behind the curtain, lots of diners like to SEE their food being made. Why? To appreciate the artistry of the chef and to understand better what it is they’re experiencing. Part of professional development should involve some “sausage making” – gauging where people are and responding to those needs as you move through the experience. Rather than construct an edifice of grandeur and distance, get people interested by involving them. This does create a particular challenge – breaking the “fourth wall” of a meeting and bringing in the audience, rather than keeping them in their passive role of recipients. One great post on getting over your fear of being “publicly examined” by David Theriault centers on sharing your work online, but I think this connects well with the idea of sharing in front of peers as well. It may feel presumptuous to “present” in front of colleagues – after all, doesn’t that give off the message that I know more than they do? This is our opportunity to shift our semantic choices; rather than “present,” maybe we should say “share” or “offer” or “demonstrate.” And as long as those meeting experiences provide the opportunity for many people to get up and share, we avoid the uncomfortable perception that admin has their favorites who always get the spotlight. This piece from Pernille Ripp is another terrific example of cultivating an attitude of being comfortable with others seeing us at our most vulnerable. In this case, having an administrator watch her most difficult class rather than her most angelic. This fits so beautifully with an earlier post of mine on how we can all help teacher evaluation move beyond the dog-and-pony performance to represent something that is truly about growing as a professional. When you do something well for long enough, you forget what it’s like to feel scared at taking a step into the unknown; you play it safe, like the restaurant that slowly crushed the creative spirit of Jon Favreau’s character in the movie Chef – once the best in town, now just a facsimile of it’s former self. Often, a dish on your tasting menu requires the simplest presentation – no frills, just the beauty of the unadulterated ingredients. Not everything needs to be a big production for it to be special. The chef/facilitator doesn’t need to stamp his signature all over everything; the fact that you have chosen to include this item is intentional enough. Chef Alice Waters of Chez Panisse has a staff of foragers whose job is to find what is fresh and seasonal to serve on a constantly evolving menu (the opposite of Dustin Hoffman’s restaurant!). When you are planning a meeting, are you attentive to the seasons? If it’s a beautiful day, are you taking your meeting outdoors? If it’s mid-March and your teachers are at an absolute nadir, are you finding ways to bring joy and lightheartedness? Just as eating brings joy (and, duh – LIFE), learning experiences should too. Noma (Copenhagen) chef Rene Redzepi reflects on the seasonal nature of their tasting menu as well. This clip is incredible for a number of reasons – primarily because he talks about how the model that got them to number one in the world was not sustainable or enjoyable. It’s worthy of a post of it’s own, however #LeadWild teammates Pam Hernandez and Jason Markey have written two terrific reflections on how Chef Redzepi’s thoughts about transformation apply so fundamentally to education. Something with eyeballs. Something with the head still attached. Something raw that is usually cooked. Something that might take five or ten tries before the diner decides it’s not that bad! For the one boy who was looking really freaked out during most of the “Small plates” menu, the lemon-scented madeleines made the experience special – er, AWESOME! Why deny people their madeleines (or, ahem, doughnuts)? The chef de cuisine hopes that every diner enjoys each aspect of the meal they prepare; teachers want every kid to be engaged and passionate in their daily learning; people in charge of staff development (admin, TOSAs, teacher leaders, guest presenters) have the same aspirations. By serving up learning experiences as a tasting menu, you create more opportunities for people to feel a bit of surprise, discomfort, and quite possibly some fresh inspiration. Posted in Learning Spaces, Personal Growth and Learning, Professional Development, Teaching, UncategorizedTagged #eduGourmand, #leadwild, Growth, Jen Kloczko, Learning, meetings, professional developmentBookmark the permalink. I think that your post really demonstrates why the “one size fits all” doesn’t work anymore (if it ever did). Thank you for writing this.